Sales on mobile devices (m-commerce) are growing at a rapid pace, and startups without a mobile marketing strategy are going to be left in the dust – especially during the busy fourth quarter holiday season. 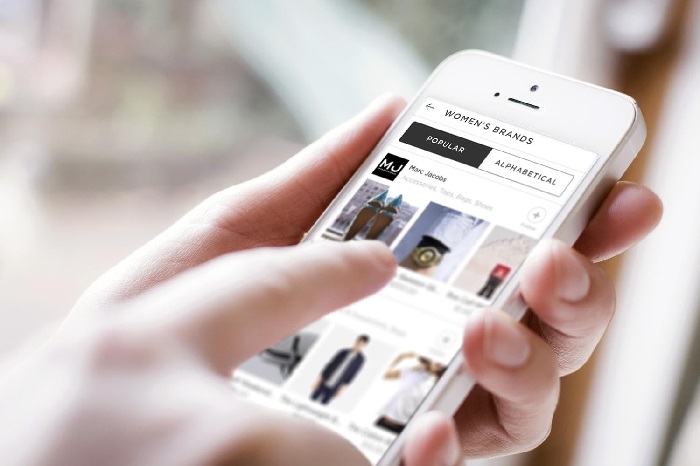 A recent IBM report predicted more than a 37 percent increase in m-commerce from 2013 to 2014. As mobile usage and commerce grows, so will its share of the ever growing online shopping sector this holiday season. And that means there’s a huge opportunity for startups to leverage mobile marketing as a key driver in their fourth-quarter planning. 1. Use personalized and dynamic content. Email and push notifications are great tools to help users feel like you are offering them personalized content and offers. Leverage best practices like incorporating an immediate welcome message when users sign up. Also, take into consideration the time of day your users might be interacting with your app. By communicating with them at the right time of the day with relevant offers it will feel more personalized. You know your customers’ browsing and purchase behavior, so use it to drive what ads you show your users. Partnering with a mobile-marketing platform that allows you to deliver ads and messages for products that a customer actually wants to see. Your users will repay you with higher engagement levels and increases in lifetime value. Joss & Main, a daily deals site for designer home furnishings, is a great example of a company that employs smart retargeting. They leverage mobile ads to retarget users with ads for products they’ve browsed or viewed in the past and even suggest similar products (that are currently on sale) that the user might want to see. 2. Make sure your creative works for mobile. A large element of successful mobile marketing is effective design. The design of your site needs to take into consideration the multiple platforms from which your consumers might be viewing your message. Ensure your creative considers that your users might be interacting with small screens, so keep your fonts large (16-22px), maintain simple and intuitive layouts and develop “touch-friendly” calls to action. Online travel company Orbitz uses email best practices and takes mobile into consideration for their campaigns. In this example, they focus on one offer that is easy to read, above the fold and leverages a large call-to-action button. 3. Deep link in your app to make purchasing easy. You’ve invested the time on driving awareness and engagement on mobile, so now make sure you see it through and give your users an easy pathway to purchase. Make sure your ads, emails and notifications all deep link back to the product pages of your app. Shopbop, a global fashion e-tailer, uses both emails and push notifications to alert users of low inventory alerts for products they’ve viewed and inform them about new products from designers they wear. When a user takes action, they are linked directly to the product page and can purchase seamlessly from the app. 4. Track and attribute your success. Make sure you are tracking key metrics (there are several viable out-of-the box mobile-tracking solutions) and then attributing them to the channel that drove the response. Key-performance metrics, or KPIs, for core channels of mobile marketing are: click-thru, conversion and actual purchases. Make sure you share transaction data with your mobile-marketing platforms, so that you can attribute what channel is actually driving purchases. Once you have the data, use it. Are your customers not opening your email, tapping on your push notification or converting from your ads? You can always improve, so test different communication tactics, offers or even times of the send. As a commerce channel, mobile is still relatively small. But its trajectory is so clear, that there really is no excuse not to commit significant resources to your mobile-marketing campaigns. There’s huge upside this holiday season for companies that take the time to create a mobile marketing plan that communicates in a consistent and relevant way with their customers. The result is messaging that feels personal, delivers meaningful content, increases your holiday sales and yields more customers going into 2015.